Be prepared for the school year by visiting your dentist, today! For many families, summer is a time to kick back and relax. It also presents an outstanding opportunity to take advantage of free-time and schedule dental appointments for children while school is out, saving valuable time and energy during the hectic school year. Let’s take a look at how you can be better prepared for this school year with these easy tips. Although children may not agree, the best time to plan for a trip to the dentist is in the early days of summertime. By visiting the dentist early, it not only gets the check-up out of the way early but it allows your doctor to determine if there are any emerging dental issues that can be treated before school starts. According to the American Dental Association, dental disease causes children to miss 51 million hours of school each year. By bringing your child into the dentist for a routine checkup and cleaning, you help reduce the risk of missing school significantly. 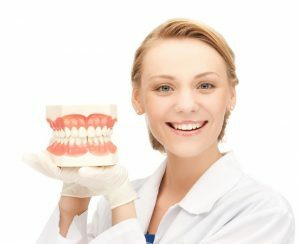 Ages 6 and under – Be sure to encourage your children to brush their own teeth so that they learn how to do it on their own, but be sure that you lend them a helping hand to teach good technique. 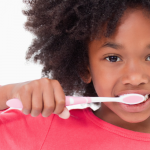 Ages 7-12 – Children may need a little more encouragement at this age, as brushing and flossing become routine but may be overlooked. Help keep children accountable with regular check-ins and verbal praise. Ages 12 and up – Studies show a significant bump in the amount of cavities found in children as they begin to enter adolescence and teen years. Achieve balance by still encouraging healthy habits with regular check-ins but also by stressing that there may be consequences from neglecting their oral health. Parents of young children know the importance of maintaining a nap schedule in order to keep kids happy and parents sane. To ensure a smooth appointment, avoid scheduling checkups that conflict with naptime. Also, to ensure you you’ll be able to secure an appointment on your preferred date and at the right time, call to make your next visit to the dentist well in advance or get it on the books as you leave your next appointment. It never hurts to plan ahead. For those searching for high quality dental care for children, adolescents or teens, Penn Dental Medicine can meet all of your family’s needs at a reasonable price. If you have already scheduled your child’s first appointment, be sure to bring this $25 coupon with you (for new patients only). Any questions? Give us a call at 215-898-8965.